Autographs of 88 of the 112 U.S. Supreme Court justices were donated to Washburn University School of Law by Washburn alumnus, Dr. John Davis, Jr. on December 23, 1999. Dr. John Davis, Jr., was an optometrist in Topeka who collected and mounted signatures for more than 60 years. His collection included every president and vice-president in addition to 4,000 baseball players, 2,000 basketball players, 3,000 football players, thousands of Olympic medal winners and 139 astronauts. He started his hobby at the age of 10 when he walked past the U.S. Secret Service and asked President Calvin Coolidge to sign his autograph book. Dr. Davis was a 1934 graduate of Topeka High School. He earned a bachelor of arts in economics from Washburn University in 1938. He has been honored with inductions into the Topeka High Hall of Fame and the Washburn University Athletic Hall of Fame. While at Washburn, Davis was a Phi Delta Theta and worked on the yearbook and student newspaper. In delivering the autographs of Supreme Court Justices on behalf of her father, Mary Van Bergen, Chicago, said "This is the first time he has donated any part of his collection. He has always had good memories of Washburn where he met mother and was very active in the campus life of Washburn." Dr. Davis' other daughters are Dr. Barbara Murray, Spokane, Washington and Jody Miller, Fayette, Missouri. His wife, Virginia, passed away in 1992. 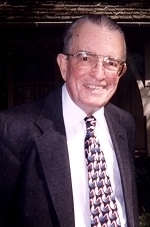 Dr. Davis passed away in January 2002. To help preserve the collection, only portions are displayed periodically in cases near the entrance of Washburn University School of Law Library. The signatures have been digitally photographed and may be viewed online by researchers. Arrangements to view the entire collection may be made by contacting the library at 785-670-1087. The Law Library is located at the intersection of MacVicar Ave. and 17th Street in Topeka, Kansas. The law library staff has compiled a data base of web-based research resources pertaining to the Justices of the U.S. Supreme Court to complement this unique collection.